ELECTROVOLT range of gloves, designed for working with high voltage electricity. 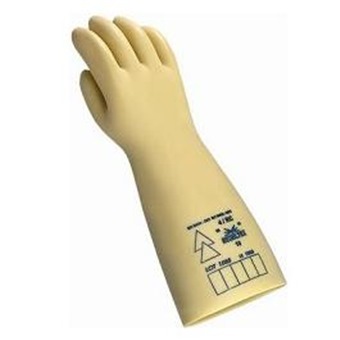 The gloves are made out of natural rubber and are similar in shape to the human body, providing a best comfort and flexibility to the wearer and the ELECTROVOLT range is available in 4 sizes. The ELECTROVOLT range has been approved within category M of standard EN 60903 and IEC-903. As well as being extremely reliable when dealing electricity, the range is also resistant whatever the mechanical activity at hand, satisfying all criteria of aforementioned European and international manufacturing standards.